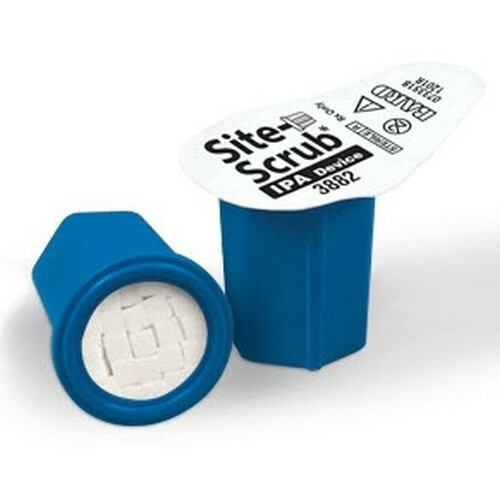 Bard Site-Scrub IPA Device contains 70% Isopropyl Alcohol and is designed to clean and sterilize extraluminal and intralumnal surfaces. This device disinfects injection ports and female Luer hubs. The cleaning device helps ensure your medical facility is in compliance with the CDC Guidelines and INS Standards of Practice. 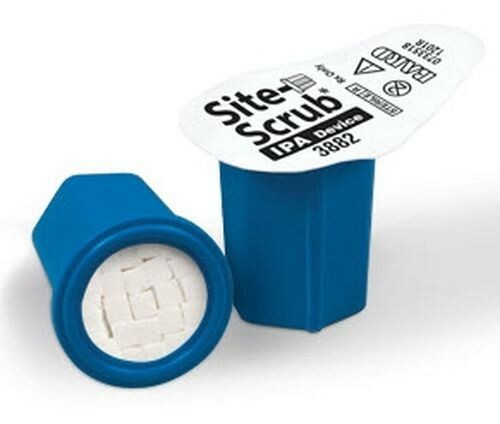 The Site-Scrub IPA Device promotes in-vitro antimicrobial efficiency. This little product is amazing! Definitely makes scrubbing the hub much, much easier and gives the feeling of little chance for contamination. Easier to handle than an alcohol swab. Love it! A very clever invention that makes it so much easier to sterilize connections on an IV. Easier to hold with gloved hands and less of a hassle than trying to open alcohol swab packets. Would have given 5 stars if I did not have the occasional issue of the capsule contents coming out of the plastic holder.